SoundEarV can be used by everyone who sits at a computer. The user sets the limit as to when, i.e. 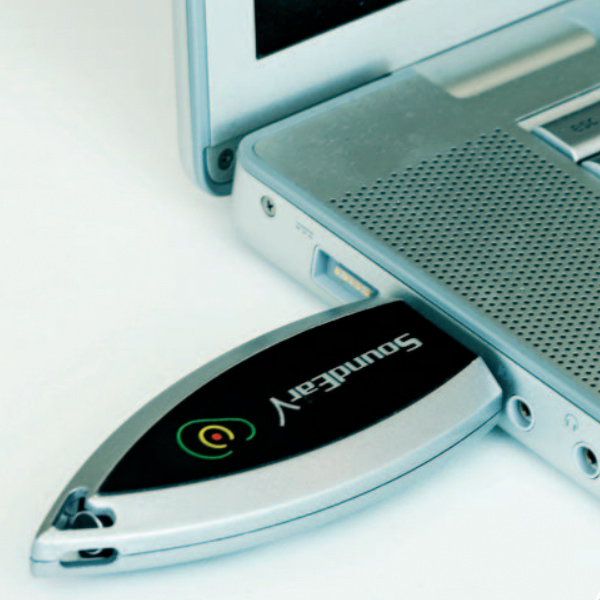 at what noise level, the alarm signal is triggered, where an ear pops-up on the screen – without disturbing the work being carried out on the computer at the time. Furthermore, the program can keep a statistical record of the noise level, so it is possible to look back and see if and when there have been any peak situations. Armed with precise measurement records it becomes easier to ask people around you to keep the noise level down and acts as a clear incentive to change one’s own behaviour pattern. It also prepares the way for changing shrill ringing tones, putting up partitions or altering the office layout. SoundEarV supplies the documentation – the rest is up to you! 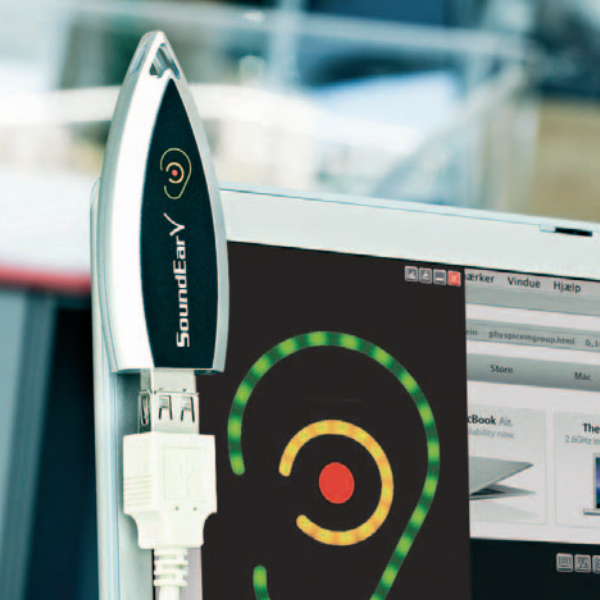 SoundEarV enables each member of staff to receive a message when the pre-set noise level is exceeded – a pop-up function warns against the fact that the noise limit has been exceeded – without disturbing the work being done on the computer at the time. It’s up to you where to set the noise limit in the interval between 50-100 dB(A) and for how long the limit may be continuously exceeded before the warning appears. SoundEarV keeps a record of the measurements for up to 30days. Many offices have already started using SoundEarV, and employees at Danske Bank’s call-centre in Taastrup, where SoundEarV has been tested, are more than willing to recommend this noisemeter to other workplaces where noise is a problem. 83 % said that they found the program easy to use. 66 % said that they meant that SoundEarV had caused them make less noise in the room. 67 % said that they felt that their colleagues had made less noise than usual. 84 % said that they would recommend SoundEarV to others working in open-plan offices or call-centres.